For most of you, this young lady will not need an introduction. Sakevisual’s Ayu Sakata has been a part of the EVN community longer than I knew it existed. In that time, Sakevisual produced six original titles while partnering to deliver visual novels like Winter Wolves’ Winter in Fairbrook. She is a talented actress, avid food artist and rabid Tim Drake fangirl (not kidding on that one). Now, she is working on a horde of new projects, including the next chapter of the award-winning Jisei Murder Mystery Series. It is a tremendous honor to sit down with Miss Sakata this month. Enjoy the interview! VNs Now: This isn’t VN related, but it has been gnawing at me so I just have to ask. You and Micah Solusod play twins in the Jisei series and now you are both playing twins in Deadman Wonderland (airing Saturdays @ 12:30 on Toonami). Is that really a coincidence or does someone at FUNimation play your games? Ayu Sakata: Haha, the twins thing. Micah and I play twins a lot, actually. We did in Sgt. Frog, and again in…hm, I’m not allowed to mention that one yet. Some of the directors at FUNimation know about my games, but I don’t think any of them have had time to play them. Micah and I have similar voices, and since we studied acting together, a lot of our acting conventions are similar. So I think it’s natural that people would think of us for twin roles, especially ones where the twins have to be in sync with each other. By the way, thanks for watching Deadman Wonderland! VNs Now: Okay NOW onto the visual novels! Let’s start with Ripples which was a pretty early project of yours. It’s a ten minute story that I believe you did for a friend. Now there’s a sequel in the wings: Every Sunrise. What made you return to this story and what can we expect from Koda and Kuu? Ayu: When I wrote Ripples, it was always meant to be a prologue to something bigger. When I started out, I had grand ideas of making an expansive high school romance with tons of options, endings, and hours of gameplay. So, basically, I was trying to do Katawa Shoujo alone. I’ve since decided to take it a little slower and release it in parts. Every Sunrise is the logical second chapter before I dive into the VN I originally had in mind. For Koda and Kuu, you can expect their relationship to go a little deeper. The main idea of the game, though, is trying to figure out the path you want in life. In Kuu’s case, she has a clear idea, and she’ll have to learn to be flexible. In Koda’s case, he has no idea, and he’ll have to learn to be decisive. VNs Now: Along with Every Sunrise you’ve been working on two visual novels that have been in development for a while now. Oneiro has a teaser page up while Hanami x2 seems to still be in the background. Where do they both stand right now? Ayu: Hanamix2 is on hold because the artist is really busy with school, life, and other things. Oneiro is actually pretty far along. I’ve finished four out of five paths, and I’d estimate about a third of the art is done. All the custom music is finished, and I’ve even cast the main cast. VNs Now: Every Sunrise and Oneiro are going to be released as free-to-play titles. That leaves your Green Tea games (commercial EVNs) with only the Jisei series. Do you plan to add new commercial VNs to your Green Tea line in the near future? Ayu: That’s the million dollar question (for very small values of a million). The short answer is yes. The longer answer is that tooaya, Thee Forsaken One, and I are working on an otome game set in the same universe as RE: Alistair++. We took a lot of the feedback from RE:A++ (game is short, repetitive, would like voices, etc.) and we’re making another otome game that will hopefully cure those ailments. The trade-off, of course, is that this one will cost money, but we’re aiming to make it more than worth it. VNs Now: We’ve seen a lot of new faces and artwork for Yousei, the 3rd in the Jisei series, but you’ve kept the plot pretty close to the vest. From the teaser images we know Naoki is undercover, Chance is back and that we shouldn’t take any coffee from her. Is there anything about the story you can tell us? Ayu: Yousei picks up pretty close to where Kansei left off. There were a lot of threads left behind by Mr. Auten’s death in Kansei, and the gang will be following them to Auten’s alma mater, the University of Edgewater. Namely, they’ll be going undercover as potential students to see if they can dig up any of his old research or info about his mysterious partner, Shen Guan. There’s also a sub plot that touches on the twins’ past. 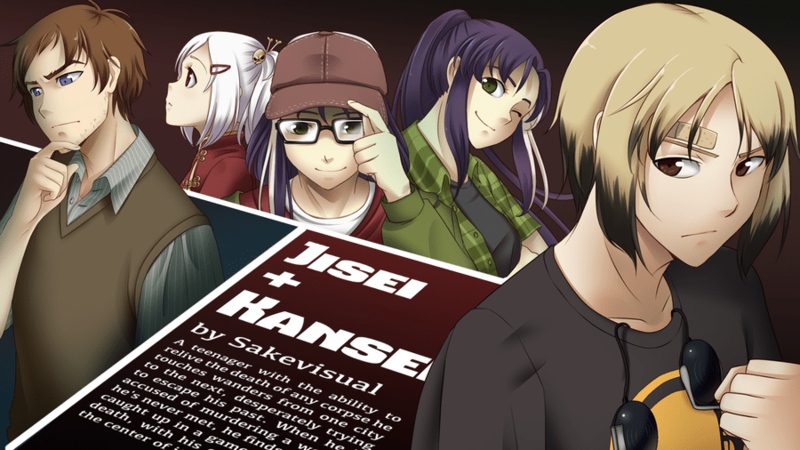 VNs Now: A lot of people really enjoy the different characters, but especially with Kansei I found the world you’re building to be very fascinating: especially when you add in the work Auten and Guan did with the government that I can’t talk about here because some people haven’t played Kansei yet. You’ve said before that your fandoms inspire your writing so was that the same case with the Jisei series or was it something else? Ayu: My fandoms influence my writing style pretty heavily, but I try not to pull too many plot elements from other shows if I can help it. Obviously, there’s nothing new under the sun, but I try to piece all that together without thinking “It would be cool to do the thing that this one show did!” Jisei comes from a lot of places. For the mysteries, it’s probably not a surprise that I pull a lot of storytelling devices from Detective Conan. The overarching story is loosely based on Chinese dynasties and mythology. VNs Now: You are unique among English Visual Novelists because not only are you the head writer/producer of your works but you’re also the voice director. What is your process in finding the voices for the characters you create? Ayu: Picking voices varies. Sometimes I’ll write a character with a specific voice in mind already. Aki, Naoki, and Chance are all examples of this. Sometimes I’ll just write a character and see who surprises me, like Gurski. I had a pretty different idea of how I wanted him to sound, but Chris brought a different dimension to him that I decided I liked more. In the case of Li Mei, I decided who I wanted halfway through writing her, because the more I wrote, the more it sounded like Cherami in my head. When I get a specific voice in my head, I’ll ask that person if they’re interested. If I don’t have an exact person, I’ll hold open auditions and pick whoever surprises me with something I didn’t think of (in a good way). VNs Now: This past year we have seen a lot of EVNs jump from Mac and PC to gaming platforms like Valve’s Steam. Looking at what you’ve done and what you have planned, do you see Sakevisual on Steam or some other platform outside of the PC/Mac/Linus setup? Ayu: I’m very excited to see EVNs on Steam, and I’m extremely proud of those who have put games there. I might submit my own someday, but probably not right now. I’m currently looking more at mobile platforms. Smart phones, browsers, and the like. If I had the money, I would love to expand to DS. 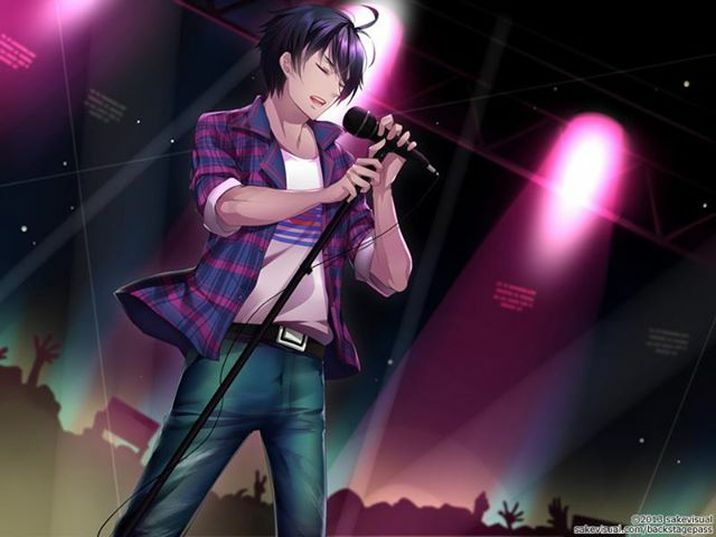 VNs Now: You’ve done visual novels in nearly every fiction genre there is: from mystery and suspense to comedy and high-school romance. Looking forward, is there anything you haven’t tried yet that you’d want to do? Ayu: Ara~ there are plenty of genres I haven’t touched on, and plenty I’d love to dig deeper into. I’m outlining a sci-fi/fantasy type novel right now, but it’s still pretty rough around the edges. I’m also working on a super hero raising sim, but that’s a long way down the road. VNs Now: I may have asked this question in another form, but I can’t help it because I’ve seen a picture of the Alastair figurine and it got me thinking about this again. You have Sakevisual, which I’m sure takes up a large portion of your time not only in writing and planning but also designing extra stuff like the Alastair toy. You’re a professional actress which I’m sure also takes up whatever’s left of your time. You travel for conventions. You and Micah have a webcomic now which, again, layouts and coloring and what not. Assuming you don’t have a couple of AA batteries in your arm that you change out every day (you don’t right? ), how do you do it? Ayu: Haha, the only thing I recharge is my phone. Um…that’s an interesting question, because I never actually thought about it before. I mean, on the surface I can tell you that I work very long days and weekends and holidays and stuff, but that’s probably not the answer you’re looking for. I guess when it comes to doing things you love, it doesn’t feel tedious and so you don’t notice that you’re always busy. Of course, that’s not saying it’s not a lot of hard work, but it’s always been enjoyable work. Also, I sleep eight hours a day. Because sleep is healthy. VNs Now: Thank you so much for your time Ayu! [Deep Breath] Check out Micah and Ayu’s original webcomic Ties that Bind here. Oh if you’re looking for vocal talent for your project you should probably check out IU Casting here. If you wish to follow her other professional adventures you should go here AND you can get all the latest Sakevisual goodness here!